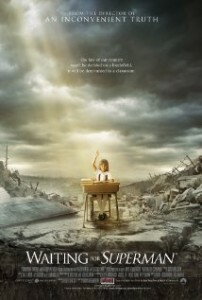 Just watched the recent documentary entitled Waiting for Superman which critiques the public schools and teachers’ unions in America. It is a sad and devastating story. Every parent should see this movie and act accordingly. Makes me glad we home-schooled our kids. You can see the info on the movie and the trailer by clicking on the image to the right. Second, the Patriarch of Jerusalem Fouad Twal, represents Catholics in Israel, the Palestinian territories, Jordan and the Island of Cyprus. In all that totals about 54,000 Catholics. He was recently in London for a meeting on the Holy Land. His excellent talk “For Too Long, the People of this Land Have Been Mired in Conflict” is worth reading, especially for those who have visited the Holy Land and pray for the peace of Jerusalem. 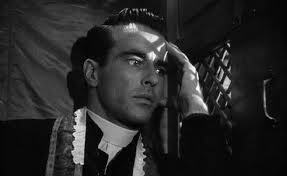 By the way, the picture to the right is of Montgomery Clift playing a priest in Alfred Hitchcock’s “I Confess” (visit the link and watch the trailer). It is a thriller but also a profound statement on the seal of confession adn the nobility of the priesthood. If you haven’t watched it, or it has been a while — get the family together with popcorn, some Kleenex and be again proud to be Catholic.